Google Doodles amaze and entertain us, and often leave us a bit puzzled with their obscure and odd subject matter. You just never know what you’re going to see when you go to Google something. Here are 15 of our favorites that have inspired, educated and made us laugh. Billed in her day as “the most beautiful woman in the world,” the actress was known for her brains as well. A scientist and an inventor, Lamarr’s work is credited with laying the groundwork for the GPS and Wi-Fi technologies we all enjoy today. Thanks, Hedy! La Tomatina is considered the world’s largest food fight, an event where tens of thousands of visitors head to the small Spanish town of Buñol and get showered in tomatoes. On Aug. 26, 2015, Google celebrated its 70th annivesary with an animated doodle of splattered tomatoes. Who celebrates the 81st anniversary of something, rather than the 80th? Google, that’s who! They marked the 81st anniversary of the infamous Loch Ness photo on April 21, 2015. The Sugarloaf Cable Car in Brazil got its nod from Google on Oct. 27, 2012. The invention of the Moog Synthesizer had a major impact on music, featured heavily in songs from the likes of The Beatles, The Doors and Stevie Wonder. 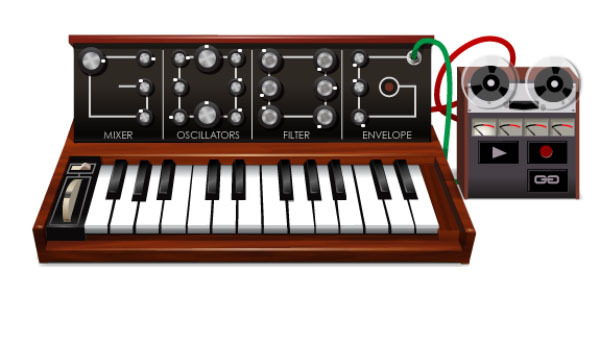 So, no wonder creator Robert Moog’s 78th birthday got a doodle on May 23, 2012. The coolest toy ever invented? It seems Google thinks so! They played tribute to the puzzling toy on May 19, 2014. 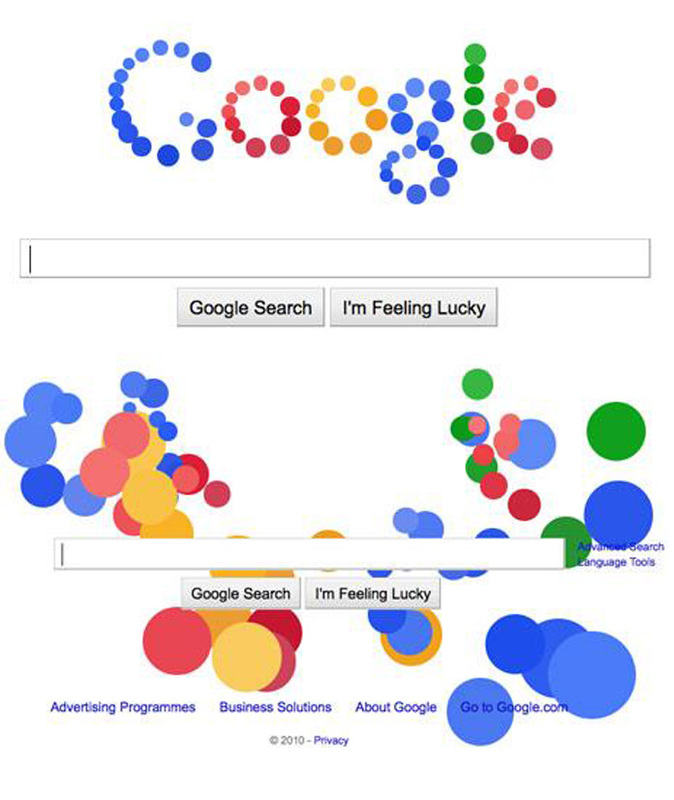 Google made users a little bouncy on Sept. 7, 2010, when its logo turned into a bunch of balls that would move anytime you floated your cursor their way. Something tells us a lot of office time was spent trying to “catch” them. So what if it makes your pee smell funny, the start of asparagus season is a big deal! And Google agrees with an April 15, 2015 doodle. Always one to get in on the joke, the Google doodlers sent folks to Kansas on April Fools Day 2010. Rachel Carson is an icon. The writer of Silent Spring was also an activist who changed environmental policy. But who would have thought to celebrate her 107th birthday? That would be Google! Oh, the buckyball. Named for Buckminster Fuller, they’re a work of pure genius… and Google paid homage on the 25th anniversary in September 2010. Hockey lovers got quite the sight on Jan. 16, 2013, the anniversarsy of the Zamboni. Aliens attacked in a send up to War of the Worlds’ creator H.G. Wells on his birthday (Sept. 21) in 2009. 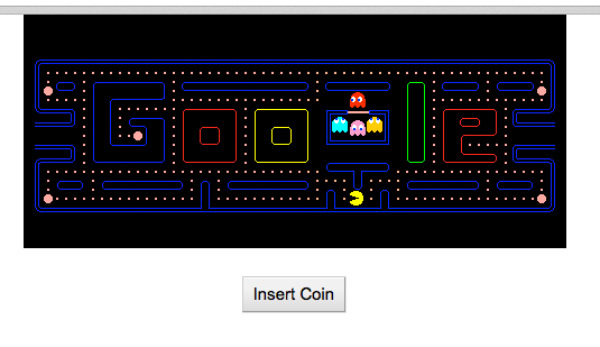 You can play Pac-Man on this Google Doodle. Click here for the Interactive game from May 21, 2010. The Mayan calendar seemed to indicate the world would end on December 21 2012, but the Google doodlers weren’t afraid. They set their doodle live! On Sept. 16, 2011, the world was introduced to Albvert Szent-Györgyi, aka the scientist responsible for discovering Vitamin C!